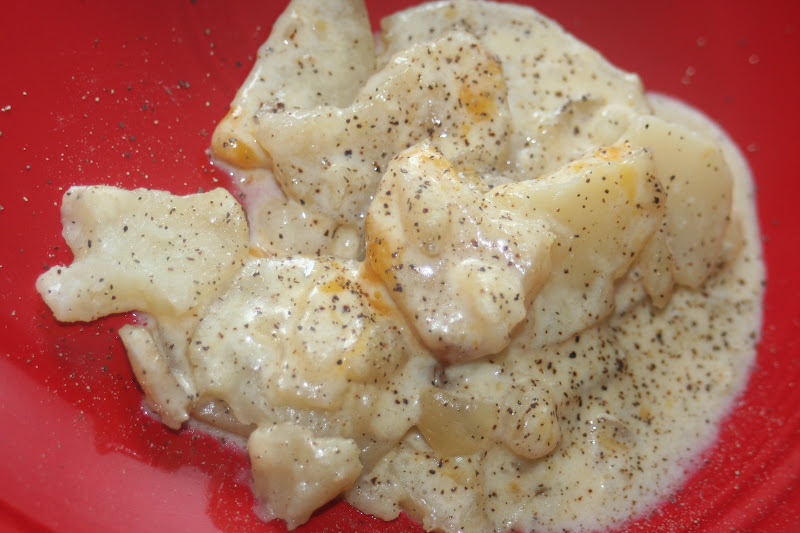 I was looking through one of my cookbooks the other night and found a scalloped potato recipe, which I changed a lot due to not having all the ingredients but we really liked the version we ended up with. 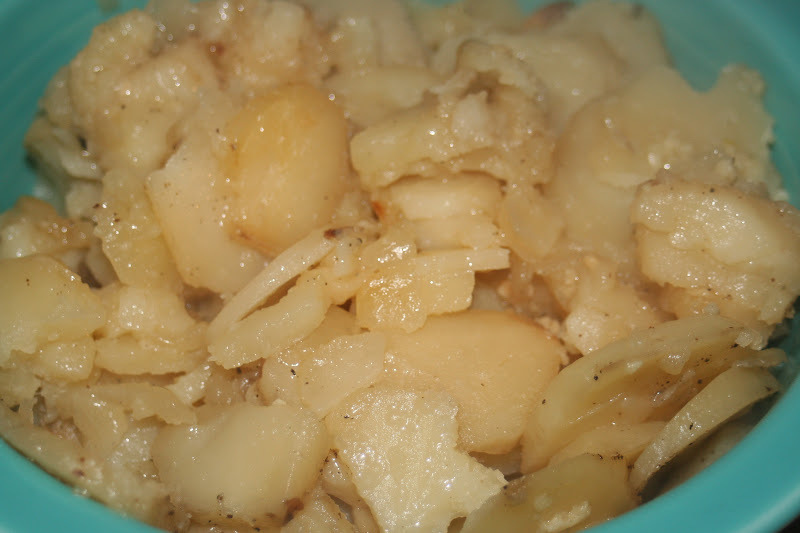 Put half the potatoes and onion on the bottom of the slow cooker and put some pieces of butter on top. Sprinkle with salt and pepper and some minced garlic. Then put a second layer of potatoes, onion, garlic and butter on top. Cook on high for about 4 hours. 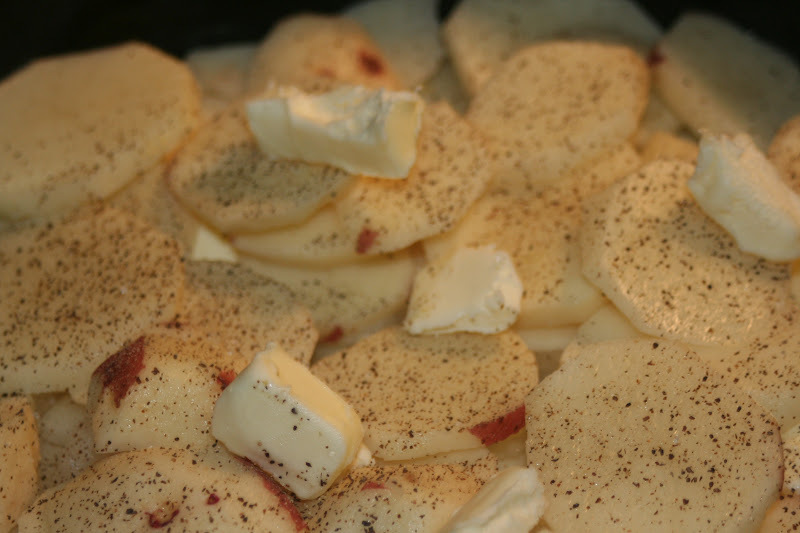 Remove potatoes from the slow cooker. Leave juices in the bottom. 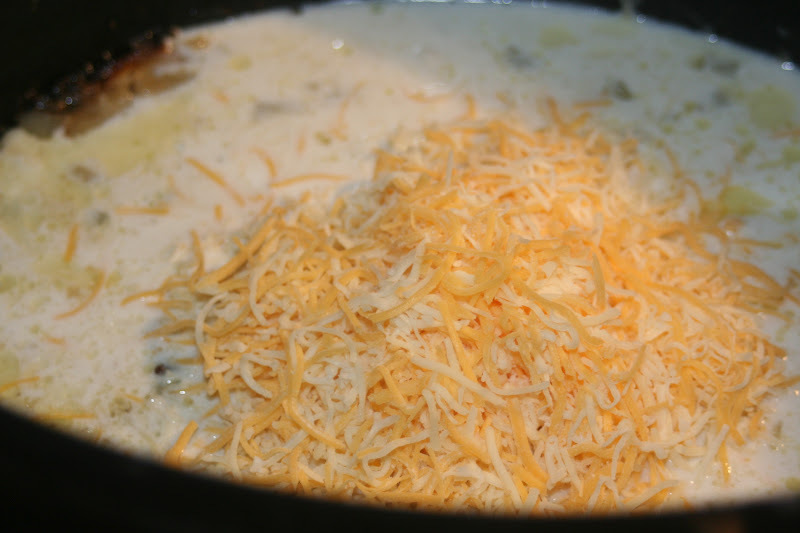 Add the milk, flour and cheese to the slow cooker. Put the lid back on and heat on high for about fifteen minutes, stirring occasionally. 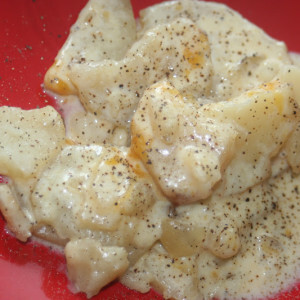 Pour sauce over potatoes and enjoy! !